Click the button below to add the Acne Clear Vinegar Face Wash #Vinegar Acne Face Wash# to your wish list. This unique non-soap clear cleanser is made to fight blemishes and future breakouts while giving you smooth, radiant skin. This gentle formula can help restore your skin's nutritive pH balance, which helps reduce red marks and breakouts. Our Vinegar Cleanser removes excess oil from your skin that can cause breakouts by cleaning pores, removing dirt and bacteria to reveal clean, fresh and healthy looking skin. Andiroba, Basil, and Manuka essential oils fight blemishes and help prevent new ones from forming. Licorice Root and Aloe Vera extracts have a soothing effect and help calm irritation and redness. Our Clear Vinegar Face Wash leaves your skin feeling clean and refresh with pure nutritive ingredients. You will feel that your skin is smoother, softer and more radiant in a matter of weeks with our herbal formula. Soothes red, inflamed or itchy skin, and helps protect sensitive pimple prone skin. Tea Tree Essential Oil has antibacterial, antimicrobial and antiviral properties that cleanse bacteria and microbes from the skin. Basil Essential Oil treats pimples, prevents blackheads and whiteheads, and relieves itching. Red Thyme Essential Oil has antiseptic and antibacterial properties that cleanse and purify skin. Lemongrass Essential Oil is an effective cleanser that has antiseptic and astringent properties to provide even glowing skin. Andiroba and Manuka Oils are lightweight and antibacterial. Licorice Root Extract has skin brightening effects, fades blemishes, has antioxidant properties and provides protection against sun damage. 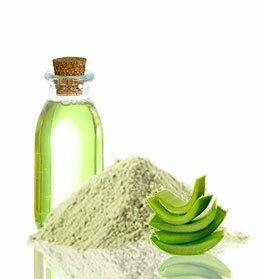 Aloe Vera Hydrosol has cool, rejuvenating properties. 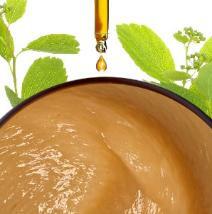 Apple Cider Vinegar clears up the skin and works to restore the pH of the skin and prevents future skin damage. On any and all active blemishes, start with one application daily, then gradually increase if needed. If bothersome dryness or sensitivity occurs, reduce application to once a day or every other day. For best results, leave on overnight and wash off in the morning. Most see improvement after one week to 10 days of daily use. At first, minor stinging may occur. • Can be used with our problem-solving serums. • This product can be applied daily. Please use a moisturizer to prevent dryness. Acetic Acid (Apple Cider Vinegar), Aloe Barbadensis (Aloe Vera Hydrosol), Glycyrrhiza Glabra (Licorice Root) Extract, Carapa Guianensis (Andiroba) Oil, Calophyllum Inophyllum (Foraha) Oil, Pongamia Glabra (Karanja) Oil, Citrus Sinensis (Orange) Peel Oil, Melaleuca Alternifolia (Tea Tree) Oil, Ocimum Basilicum (Basil) Oil, Cymbopogon Flexuosus (Lemongrass) Oil, Caprylyl/Capryl Glucoside, Leptospermum Scoparium (Manuka) Oil, Origanum Vulgare (Oregano) Oil, Cymbopogon Martinii (Palmarosa ) Oil, Sodium Lauroyl Lactylate, Thymus Vulgaris (Red Thyme) Oil, Xanthomonas Campestris (Xanthan) Gum, Glyceryl Caprylate, Allantoin,Panthenol Vitamin B5 (Vitamin B5). I’ve read a lot about apple cider vinegar being good for the skin. finally a cleasner that’s made with it. the smell is strong and not pleasant. however!! the results i got from using it within a week more than made up for the smell!!! plus your nose gets used to it; the smell goes away after rinsing. i use this cleasner on skin not wet, massage, wait 30secs then add water, and rinse off. I have T-oily skin so sometime my face has some breakouts. I've used a lot kinds of cleaners for my face but this wash is the best so far. I've order the 2nd bottle to use. I have suffered from severe breakouts since I was 15. Many years I looked for the perfect sensitive skin clear wash that helped me clear my skin,but without the irritation of an allergic reaction. Never dreamed of a day without using foundation due to my severe skin condition. Thanks to the creators of this vinegar face wash & the clear night product, I am able to feel the sun shine on my naked bare face. No need for heavy makeup. I've been using this face wash for months and I love it. I don't have a real problem but, I was going through some rough spots with my skin and this did the trick. I decided to have my 13 y/o son try it since he has been breaking out badly on cheeks and nose. For reference the breakouts he deals with is mostly whiteheads. In two days the vinegar face wash just about cleared his cheeks and nose. No lie, I am amazed at how quickly it worked! Wow! is all I can say. I looked at him and was in disbelief at how fast the results were for him. He is very happy with the results the only downfall for him is the smell, but you get use to it so no worries. This product reduces redness and helps get rid of zits a day or so after they appear. It smells pretty strong of vinegar and lemon, which I personally don't mind at all. It's gentle and soft and leaves my skin feeling clean and clear. When I bought my first bottle of this cleanser a few months ago I used it as directed and put it on overnight. It actually ended up burning my skin a little bit so I took a break and eventually began using it as a wash off cleanser which has worked really well for me! A lot of reviews mention the smell but I actually think it smells kind of nice. Definitely love this stuff! I have always used really high end facial cleansers and I was noticing that some of my friends that use more natural products had much clearer skin that I did. So I went in search of something more neutral and I came across this product! I will say I was very skeptical at first because I thought if all the expensive Este Lauder products won’t work how can this, but it has really transformed my face and my skin. The apple cider vinegar really neitralizes your skins pH leaving my skin not so red and blotchy after using it! It has a strong smell but don’t let that deter you from using it, you get used to it and it’s worth it my acne has cleared up so much! I didn’t think the price was too bad considering the previous face wash I used was 45$ and didn’t have nearly as much in the bottle! A bit smelly but its worth it!! Keeps my skin clear and I have come to not mind the smell. It really works and I have tried so many things. I love that it is natural and does not have harsh things in it. My face feels really clean after I use it. This is an amazing product, it cleans so well and leaves your skin feeling soft, and not stripped of moisture like other face wash can do. Works as advertised. I have purchased this 3 times. I use it maybe twice a week and I cannot remember the last time I had a breakout. When I do use it I apply It over the oiliest spots on my face. It really works great and have recommended it to multiple friends. Just use a little a time and you will be amazed. Have zits or suffer from constant breakouts from stress like myself, you need this. Yes expensive and this will lose 1 point in the review but it works well and has stopped many breakouts from occurring. I enjoy the additional benefits it provides my skin with keeping my skin hydrated while enhancing my skins appearance. My teenage daughter has used this a lot. It was a life saver on school photos, so it has been her go-to product ever since. Now she is lucky because she is not paying for this product. It is expensive and that is the only downside. But from seeing what it does for her I had wished I had it when I was her age. Have a party to go to? Have an upcoming presentation? Many times I was in a difficult situation with a pimple that had just comes out of no where. I was embarrassed and worried that everyone would just look at my face. This clear vinegar face wash on numerous occasions kept my skin blemish free and hydrated. I never have to worry about future breakouts any longer! This for me stops blemishes in their tracks. When I think I feel a pimple coming on I apply this on the night before and the next day my skin is restored and feeling great again. I also love the natural ingredients in this product and no harsh chemicals.